He satisfied the court’s demand on Monday, according to court filings. 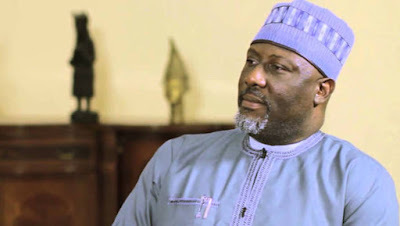 Mr Melaye in an interview denied allegations of lying against the police. He suggested that the police were making a mockery of the judiciary by filing fresh charges before a court whose bail order they refused to obey. The new Inspector-General, Mohammed Adamu, has promised to discard the impunity and disregard for civil institutions that characterized his predecessor’s tenure, but it was unclear whether or not he had been briefed about the scheduled arraignment of Mr Melaye today. Efforts to speak to the police spokesperson, Frank Mbah, were unsuccessful as he neither picked the phone calls nor responded to text messages put across to him. Also, the Abuja police spokesperson, Anjuguri Manzah, said he cannot speak on the matter when asked about police’s disregard of the court order on Tuesday morning.